In an environment where consumers are more attuned to the ethics of the companies they patronise, brands are becoming aware that they will win by being charitable. However for Paul Lister, the head of Penney’s parent company Associated British Foods, it goes beyond that. “Ultimately, you’re guided by doing what’s right,” he tells TheJournal.ie. In Dublin with Katharine Stewart, from Primark’s Ethical Trade Team, the pair discuss the ethics of cheap clothes and how a company the size of Primark, which had revenues of £5.3 billion in 2015, can be environmentally sustainable. The obvious place to start is Rana Plaza. The building collapse of the Rana Plaza factory killed more than 1,100 people in April 2013. While many whose clothes were made in the factory were slow to, or have yet to, provide assistance, Primark has paid out €13.4 million. “We knew within an hour from our ethics team in Bangladesh that the accident had happened,” says Lister. “We knew we were there. Some people who haven’t paid wouldn’t have known they were there or would dispute they were there. That could be for a number of reasons. You may genuinely not know you were there. “These people were making clothes for Primark and a lot of other people. “We were able to help immediately. Food was the first aid people needed. After that, they needed short-term payment. We paid three months’ wages to everyone in the building, which later turned out to be nine months’ wages. You’re guided by doing what’s right. Who were we to determine who could get food or wages. Stewart’s team then developed a long-term compensation scheme. 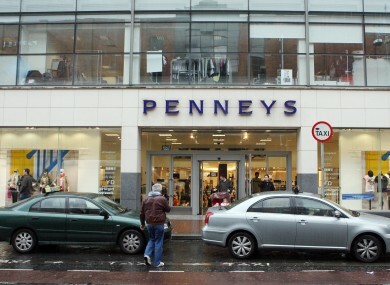 Around 700,000 people work in the Penneys supply chain, meaning that there are numerous factories in the developing world producing millions of items of clothing a year. With that in mind, ensuring that there are systems in place to ensure that workers aren’t exploited is a mammoth task, but one that the company appears to take seriously. “We have a supplier code of conduct which is based international conventions and sets out all the criteria,” says Stewart. One thing we have picked up over the years is that you have to have eyes and ears on the ground in all sourcing locations. To that end, the company has 65 staff around the developing world whose entire job is focused on ethics. Those staff are then supported by locals who are trained by Primark. Any factory wishing to get business from the company has to undergo an audit which is paid for by Primark and includes confidential worker interviews. This is at odds with many clothing brands, which use factory-supplied audits. “We’re not relying on anyone else, the factories are up to our standards,” says Lister. “Often we have to do work up front, even if they’re working with other retails,” adds Stewart. While nobody in Primark shies away from the fact that the developing world is used as part of a business that allows clothes be sold for the price of a coffee, both insist that the use of the developing world is a good thing – for both sides of the globe. However, both Stewart and Lister say there is no pushback from their bosses or within their company in terms of trading ethics for profits. They say that the Syrian conflict is a key issue in their work today, but that there is always some issues. “We’ve got 1,700 factories around the world,” says Lister. In a perfect world, we wouldn’t have any issues – it’s not a perfect world. It’s not done. “Sourcing out of the developing world is not easy. I think people have a different imagination of what a Bangladeshi factory is like. These are big, modern factories. Part of the future, Stewart says, is tracing clothes in a similar fashion to tracing meat – from farm to clothes-rack, if you will. To that end, Primark has a programme which supports 8,000 female cotton farmers in northern India, meaning that the raw materials being sent to factories are also ethically sourced. That project is planned to be rolled out to another 10,000 farmers this year. Email “Here's how Penneys makes sure the clothes you buy are ethical”. Feedback on “Here's how Penneys makes sure the clothes you buy are ethical”.